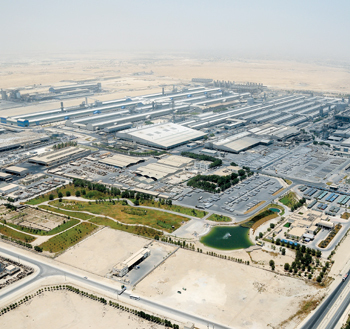 Aluminium Bahrain (Alba) has been granted the environmental permission for its Line 6 Expansion Project from Bahrain’s Supreme Council for Environment. The environmental permission, vital to the expansion, was granted based on detailed environmental and social impact assessments carried-out by a competent consultant and overseen by the Line 6 expansion team. Alba, one of the top 10 aluminium producers in the world, will see its Line 6 Expansion Project propel it to the status of largest single-site smelter in the world upon its completion. Expected to begin production in early 2019, this project will boost the company’s per-annum production by 514,000 tonnes upon full ramp-up, bringing its total production capacity to approximately 1.45 million tonnes per year. Alba’s chief executive officer Tim Murray said: “The receipt of this permit reaffirms the commitment and support of the Government of Bahrain towards this landmark project.” He added the project would bring significant benefit to the country. Bechtel Canada completed the bankable feasibility study for the $3.5 billion expansion in December 2014. DX+ Technology is selected as the base for Line 6, while JP Morgan, Gulf International Bank (GIB) and National Bank of Bahrain (NBB) are the financial advisors. Alba has earned international praise and recognition for being one of the most environment-friendly smelters in the world, winning several prestigious awards such as the United Nations Environment Protection (UNEP) Award (1997), the GCC Prize for the Best Industrial Establishment that complies with Environmental Standards and Specifications (2005) and the GAC Health & Safety Award – smelter category (2014) for best practices in health, safety and environment performance. Alba is listed on both the Bahrain bourse and London Stock Exchange and its shareholders are Bahrain Mumtalakat Holding Company (69.38 per cent), Sabic Industrial Investment Company (20.62 per cent) and the general public (10 per cent). The company, meanwhile, has opened a state-of-the-art training centre, which will focus on strengthening the core skills of employees and contractors. Present at the inauguration were Subah Al Dosari, Ministry of Labour undersecretary, Mohammed Al Ansari, labour affairs assistant undersecretary, and Alba’s executive management and managers. The facility consists of a Training Administration Building equipped with four classrooms and administrative offices, and the Training Workshops Building, a two-storey structure spread over 2,500 sq m, which houses nine smart classrooms and workshops dedicated to each of the five maintenance disciplines of automotive, mechanical, electrical, instrumentation and hydraulics and pneumatics. The training centre will focus both on technical skills and leadership development. A separate store to house tools and spares used during training has been created along with an amenity facility with locker rooms, a dining hall and a prayer room. Alba’s employee strength currently stands at nearly 3,000, and Bahraini nationals comprise 87 per cent of the total workforce. The company’s Training & Development Programme is one of its major initiatives to support Bahrainisation and empower nationals with the necessary skills to boost their calibre as professionals and provide ample opportunities for career advancement. “At Alba, we believe nothing is more valuable than education. 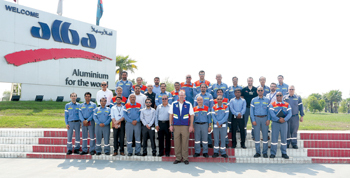 The training and development of our employees plays a crucial role in the company’s ability to maintain its position as a leader in the aluminium industry,” said chief executive Murray. The company held a special workshop on the theme ‘Market Downturn’ for its executives, directors and managers in mid-September. Led by Murray, it aimed to discuss the challenges on the back of a significant drop in LME prices and physical premiums. The workshop also focused on fast-action cost reduction roadmaps. Murray stressed on the importance of safety, cost control and productivity improvements. Throughout the workshop, individual departmental goals and roadmaps were reviewed by Murray, who later opened the floor for discussion. Engineering Conference & Exhibition (Mepec), which was held in the middle of last month in Bahrain. Organised under the patronage of His Royal Highness Prince Khalifa bin Salman Al Khalifa, Bahrain’s Prime Minister, Mepec’s theme was “Delivering Process Efficiency through Innovation and Value Creation”. Alba’s sponsorship and participation reflected its support to innovations and developments in the field of process engineering and to interactions with potential trade partners in the field of chemical and process engineering. “Mepec is a well-known platform that brings together leading professionals in the chemical and process engineering sector from around the world,” said Murray, adding the event would create awareness of trends, developments and challenges facing the industry.